It is fast approaching the end of 1H 2016. The volatility for the market in 2016 has shown that good times do not last forever. In fact, most local funds are barely in positive territory. Big time investors and notable investors have been struggling to provide the necessary returns. Through out the ups and downs, we are now in "Sell In May and Go Away" period. As a result, I have not been actively posting value picks in such times, because one is required to be extra careful in preserving the capital. As we move towards the second half of the year, I believe there is still money to be made provided one is prudent. If you look at the index linked and also the bigger cap stocks, most are not spared from the selldown. The YoY performance is not worth a mention. However, I believe FA is still the way forward as it can withstand the cycles of the market so long one is patient. As such, I intend to focus my strategic picks with counters that have certain defensive quality. Example: supported by yields through out the years as that is the only way to ensure the counters' value will not be eroded with the fluctuations of the share price. 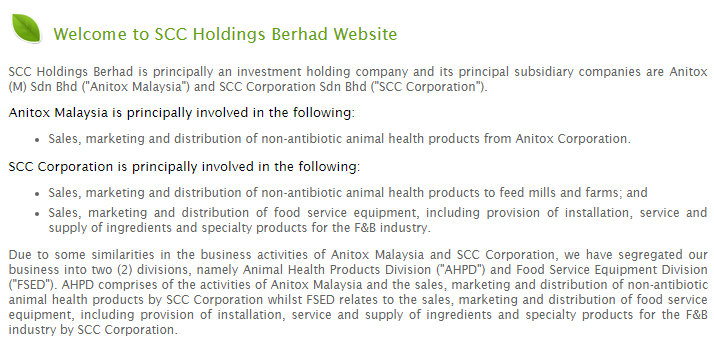 One such counter is SCC Holdings Bhd. Many have asked me why I like to choose counters that have low liquidity of interest. Why not those with large volume? In all honesty, this is just coincidence. The counters I have chosen so far has good yields yet despite the case, funds do not buy in at large due to the limited quantity. The positive is that counters like this rise fast and drop fast but it is hard to manipulate. I consider SCC as it is one of those long standing Malaysian SMEs that have grown through the years patiently and shown consistent improvement in performance YoY. Additionally, it was able to deliver a huge jump in revenue for 2015 along with steady payout of average 4.5% dividend. Some key indicators, SCC at current price of RM2.04, the PE is 13.68x with ROE at 17.75%. The NTA is RM0.84 sens. All the numbers show it is quite fairly valued. What most people fail to notice is the growth story behind this counter. Traditionally, the average revenue for SCC stands between RM35-40 million. For 2015, there is a huge leap towards RM60 million. As a result the profit increase however not substantially. This is because there is a steep drop in profit margin. Without even going deep in the report, I suspected the reason was FOREX. MYR weaken substantially and as a result, the margin eroded from an average of 14 to only 10.6. We know for 2016, MYR has somewhat stablise. For many businesses, stability is most important as it allows the business to determine its pricing strategy. I believe for 2016, SCC will be able to navigate FOREX implications better than 2015. 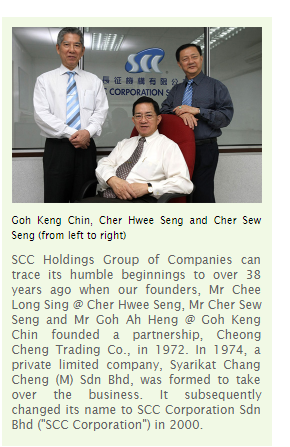 After reading deeper, I realise the reduced profit margin is also due to the fact SCC introduce a new product segment, which allowed the company to sucessfully increase revenue by a quantum leap. As a result, with the new product segment, I believe SCC will be able to maintain the current performance and obtain better growth moving forward. Once SCC find their footing in the new product profit margin, bottomline will reflect accordingly. The latest full year results of 2015 showed revenue at record high of RM60 million arriving at EPS of 14.91 sens which was a slight decrease YoY. The next quarterly result would be likely out on 25th May and this is the dividend quarter (1Q2016). Usually SCC declares a generous 10 sens dividend which translates to around 4.5 yield at current price. Without taking in consideration of potential capital gain, the current price of the share is attractive for a growth counter. I am also keen due to the solid balance sheet. The NTA stands at RM0.84 sens per share and current price is at RM2.04. However, looking deeper, the company is a net cash company following a corporate exercise to raise funds. It would mean the company is in the business of using cash for expansion and not a lame duck company holding on to cash without giving rewards to shareholders or failing to expand. SCC should be able to maintain their constant growth YoY due to their continuous innovation and recent success in launching new product segment to break into new customer reach. 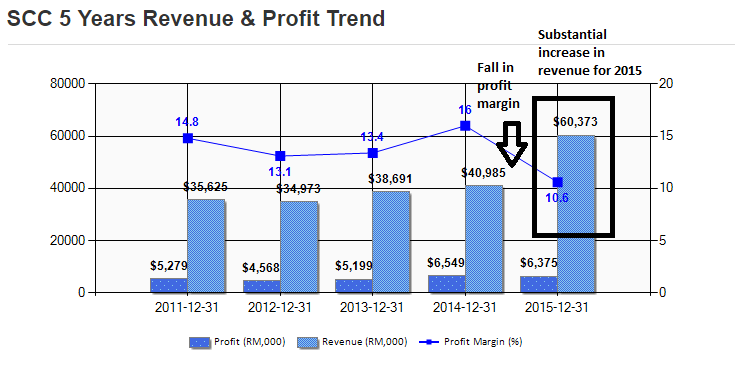 I conservatively estimate SCC is able to maintain their growth of around 7% for the revenue for 2016 and lift their profit margin to around 12. As such, the target EPS for 2016 is around 18 sens. Applying a multiple of 13x, the fair value would be RM2.34. Coupled with the annual dividend payout of 10 sens, the intrinsic value should be around RM2.44. This is an extremely conservative forecast assumming no funds interested in collecting this low volume counter. Some may ask why I am proposing this value pick now as the market is volatile etc. 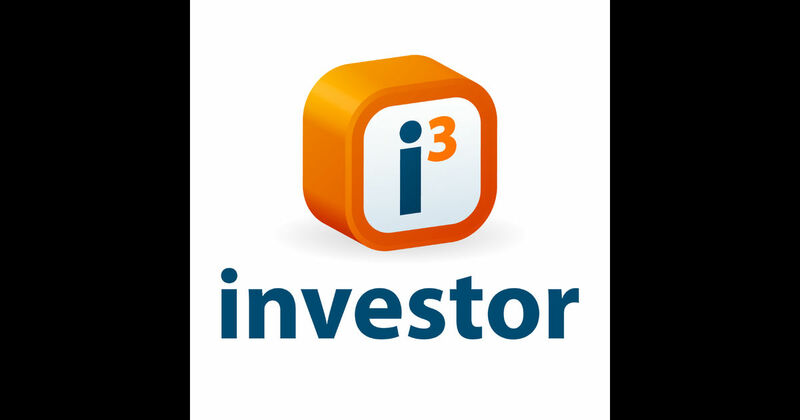 3 reasons, this company is very safe, it has a growth story and this is the dividend quarter. As simple as that.